Stalking is a crime at both the federal and state levels. In New Jersey, stalking occurs when a person engages in a course of conduct (that is, more than one action) directed at a specific person that would reasonably cause that person to suffer emotional distress or to fear for their safety or the safety of others. At the Law Offices of David Jay Glassman, we help clients fight criminal accusations of stalking in every form, such as following, peeping, unwanted messaging and other problematic contact. . Simple obsessional — This most common form of stalking and may involve an individual looking to avenge a perceived rejection. Examples are stalking among domestic partners, co-workers or other familiar acquaintances. Because the stalker personally knows his or her target, the victim may have a higher degree of sustained risk than in other situations. Love obsessional — In love obsessional stalking, a person my fixate on someone they believe they’re in love with and makes attempts to get their attention, such as by sending gifts or unintelligible messages intended to communicate some deeper meaning. The parties may be familiar with one another but may not have any substantive personal relationship. Erotomania — This type of stalking involves an individual who holds an obsession with a celebrity or another inaccessible person. They may believe the target of obsession is in love with them or may seek to have them fall in love, and they may take extreme actions to be noticed. These general definitions may overlap and can take several other forms. It is also possible for stalking to occur for a lengthy period of time without the victim’s knowledge, which can make it appear more extreme when the conduct is finally noticed. A person who fears they are being stalked may obtain a temporary restraining order from a court that bars further contact or physical proximity. That order will likely become permanent if the defendant is found guilty of stalking. Except in certain circumstances, stalking is a crime of the fourth degree in New Jersey. A person convicted faces up to 18 months in prison and a maximum fine of $10,000. When the perpetrator is on parole or probation or is in prison, if he or she previously stalked the same victim, or if stalking occurs in violation of a court order, it is a crime of the third degree, which can draw three to five years in prison and a fine of up to $15,000. Among the key elements of stalking prosecutions are the intent, persistence and reasonable interpretation of the alleged course of conduct. Not all repetitive appearances of one individual near another rise to the level of stalking, nor are frequent letters or phone calls necessarily threatening. However, in the overworked New Jersey court system, judges are likely to issue restraining orders on demand whenever an allegation of stalking is made. Being handed a restraining order and accused of stalking can seriously limit your life and opportunities for the future. Through assertive advocacy, we work to have New Jersey stalking charges dropped, dismissed and reduced. As part of our defense strategy, we will comb through the prosecution’s charges and all available evidence, examining the details in the claim and comparing them to phone records and other forms of evidence, such as witness testimony. We may be able to show a lack of credibility on the part of the complainant or to demonstrate the lack of a real threat to anyone’s safety. 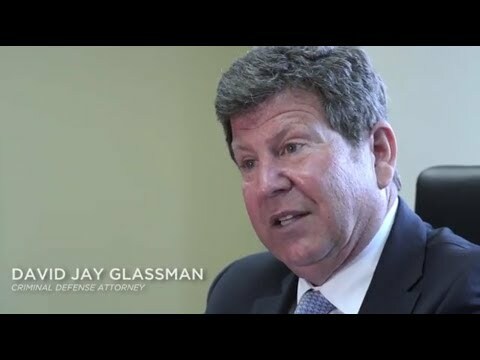 With locations in Marlton, Hackensack, Newark and New Brunswick, the Law Offices of David Jay Glassman skillfully represents clients throughout New Jersey. If you have been handed a restraining order or are up against criminal stalking charges, call us at 866-221-1270 or contact us online to arrange for an initial consultation.